Global Ethics Solutions expert trusted partners. Our team is YOUR team! Our network of strategic partners are here to help. From world class training and speaking to expert, knowledgeable consultants, Global Ethics Solutions can partner with you to solve your problem, meet your need, and be there when you need us. Below is a list of Strategic Partners. Ethical leadership guru...Hall of Fame speaker...Author of our ethical leadership courses! 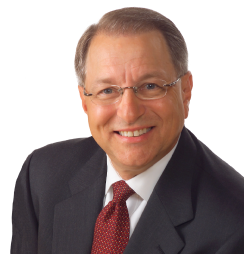 Frank Bucaro is a speaker, trainer, author, business owner, recognized ethics leadership expert. Frank provides Global Ethics Solutions with leadership training services, consulting services, curriculum development, and keynote speaking. He is a veteran speaker holds the prestigious award of CPAE, Speaker Hall-of-Fame (Council of Peers Award of Excellence) and the CSP (Certified Speaking Professional) designation through the National Speakers Association. Contact us to have Frank Bucaro train, speak, or consult for your organization. Anatoly Yakorev is the Director of the Center for Business Ethics & Compliance (CBE&C) and represents Global Ethics Solutions in the EU and Russia. He has contributed to designing and developing innovative projects to promote the rule of law, greater transparency and integrity, FCPA compliance, supply chain training all of which aimed at reducing corruption risks. He helped launch a Collective Action called Russian Energy Compliance Alliance initiative that brought together multinationals and Russian companies in the energy area which later was proposed as business model by B20 to be replicated worldwide. Anatoly is a passionate ethics advocate, speaker, and consultant with knowledge and insight into the EU compliance market. If your organization is located or does business in the EU, contact us to see how Anatoly can help your organization. MyOHR, LLC provides key Human Resources consulting and support for small, emerging and mid-size companies. Focusing on Human Resource Legal Compliance, MyOHR, LLC assists business in achieving operational efficiency by providing the infrastructure necessary to manage the workforce in compliance with State and Federal requirements. MyOHR, LLC is cost effective for companies that have not budgeted for a full-time HR position. Contact Jaime Orendac, SPHR-CA and SHRM-SCP for more information. Compliance – we focus on compliance with California law in employment practices, legal posting and employee management. Infrastructure – our infrastructure systems include personnel files, hiring processes, employees relations management and termination processes. Training – training support programs include safety training, harassment prevention training, customer service training effective communication training and ethics training. The programs are geared for managers and non-management employees. Triage – OHR LLC triage support includes problem resolution with a rapid response for day-to-day business and management related issues. Guest Speaker - Patty P. Tehrani, Esq. Patty P. Tehrani, Esq., is an experienced compliance attorney and founder of the Policy Patty Toolkit (www.policypatty.com). Patty has nearly 20 years’ experience in legal and compliance including senior in-house roles at top financial institutions, authoring articles and blogs, and guides and toolkits, delivering webinars and providing advisory and consulting support. Patty is a valued Global Ethics Solutions speaker who helps companies develop, review, and update their governance, risk, and compliance (GRC) controls, including policies, processes, and codes of conduct. If your organization needs help developing or enhancing GRC controls, please contact us today!